Why another JS util library? 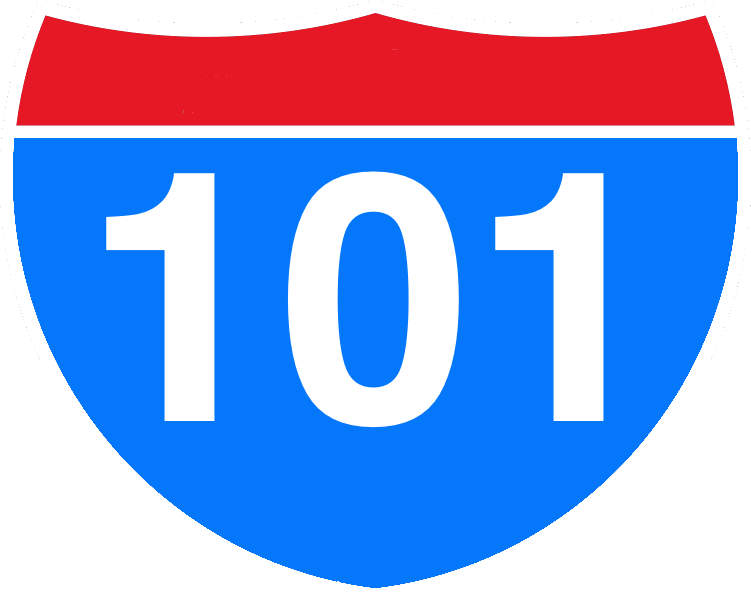 1) 101 will be maintained to minimize overlap with vanilla JS. 101 utils are made to work well with vanilla JS methods. 101 will only duplicate vanilla JS to provide Functional Programming paradigms, or if the method is not available in a widely supported JS version (currently ES5). Other libraries often duplicate a lot of ES5: forEach, map, reduce, filter, sort, and more. 2) No need for custom builds. With 101, import naturally, and what you use will be bundled. Each util method is a module that can be required require('101/<util>'). Currently CommonJS (node, browserify, webpack, etc) is supported, I will add other module system support on request. Other libraries can be large, and require manually creating custom builds when optimizing for size. Why not release each as individual modules? Micro-modules existance throughout a project can change very frequently, because of this one may find themselves constantly updating their package.json (repeatedly adding and removing the same micro-modules). Unbundling micro-modules can lead to projects with hundreds of dependencies which can be tedious to maintain. Just like ES6's Object.assign. Extend an object with any number of objects (returns original). Functional version of &&. Works great with array.reduce. Functional version of function.apply. Supports partial functionality (great with array functions). Bind methods in an object. You can pass an array containing the name of the methods to bind as second argument or leave it empty to bind all the available methods. Functional composition method. Works great with array.reduce. Converges an array of functions into one. Works great with compose. Fill non-existing object values with defaults. Use it to set defaults on options. Works with supplying default values in sub-objects as well. Supports partial functionality (great with array functions). Mutates first argument and returns mutated argument. Functional version of delete obj[key] which returns the same obj without the deleted key. Supports partial functionality (great with array functions, like map). Functional version of str === process.env.NODE_ENV. Or's multiple environments. Functional implementation of Object.is with polyfill for browsers without implementations of Object.is Supports partial functionality (great with array functions). Finds the first value in the list that passes the given function (predicate) and returns it. If list is not provided find will return a partial-function which accepts a list as the first argument. Finds the first value in the list that passes the given function (predicate) and returns it's index. If list is not provided findIndex will return a partial-function which accepts a list as the first argument. Hashes an array into groups based on the value of a provided common key. Works nicely with pluck and reduce. // always provide initial value when using with reduce! Determines whether the keypaths exist and have the specified values. Supports partial functionality (great with array functions, and 101/find). // use it with find, findIndex, or filter! Determines whether the keys exist and, if specified, has the values. Supports partial functionality (great with array functions, and 101/find). NOTE: I am considering deprecating this method, bc it is so similar to has-keypaths. Polyfill of ES7 proposed Array.prototype.includes. Will default to Array.prototype.includes if present. // optional 3rd argument, searchFrom. Begin searching the target array from a specified index. Hashes an array of objects based on the value of a provided common key. Works nicely with pluck and reduce. Functional version of typeof val === 'boolean'. Supports partial functionality (great with array functions). Check if a value is an instance of an integer. Functional version of val typeof 'number'. Return an array containing all the keys of an object. It differs from the native Object.keys by including also the prototype keys. Create a lens to access a data structure. When passed a property key as a string, it returns a function fn(obj) that acts as a getter for that. It also exposes .set(value, obj) and .mod(fn, obj). You may also provide getter and setter functions. Immutable version of delete obj.key. Returns a new object without the specified keys. Supports partial functionality (great with array functions, like map). Functional version of ||. Works great with array.reduce. Muxes arguments across many functions and &&'s the results. Supports partial functionality (great with array functions, like map). Muxes arguments across many functions and ||'s the results. Supports partial functionality (great with array functions, like map). Returns a new object with the specified keys (with key values from obj). Supports regular expressions and partial functionality (great with array functions, like map). Functional version of obj[key], returns the value of the key from obj. Supports partial functionality (great with array functions, like map). Immutable version of obj[key] = val. Returns a clone of the obj with the value put at the key. Supports partial functionality (great with array functions, like map). Functional version of obj[key] = val, returns the same obj with the key and value set. Supports partial functionality (great with array functions, like map). Exclusive or Works great with array.reduce.